This article deals with the legal situation for drone pilots in Liberia. 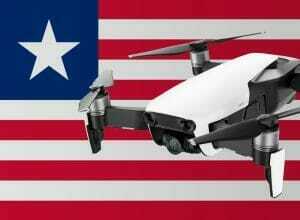 Currently, there is no legal framework for the use of drones in Liberia. If you come in with a small drone (smaller than a Phantom 4), then everything can go well. It can also happen that you have to pay an import fee or the copter is confiscated. Since there are no rules, it is essential to the interpretation of the staff. Similarly, the private use of drones in Liberia. Due to the political and economic situation in the country after the Civil War, you should refrain from traveling to Liberia with a drone, because it can get you into trouble very quickly. If you still can not do it then be extra careful on every flight. Security organs can be susceptible. The experiences described here come from native drone pilots with whom I am in exchange. We have researched the listed drone regulations for Liberia to the best of our knowledge. We cannot guarantee the correctness of the information. If you want to be on the safe side, contact the competent aviation authority. Alternatively, you can also ask the embassy in your country for further information about the regulations. Please leave us a comment when you receive news and/or gain experience with your copter in Liberia! A nice and careful description of the situation. Additionally, in the tribal areas, the fear regarding innovative technologies is imminent and leads to overreaction. There is a high concentration of iron ore (ferromagnetic) in most areas. In all cases, bring enough of your own security for crowd control and equipment safety. Thank you very much for your support! Best wishes to you and your family! Do you know how to be able to fly with the drone in Liberia? Is being able to enter it complicated? I would leave the drone at home. HI, AM FROM LIBERIA. HOW DO I GET One?